Creases on the forehead and frown lines between the eyebrows are the result of muscle contractions combined with a loss of skin elasticity. This loss of elasticity can be caused by sun exposure, hormone loss, genetics or the aging process. The creases and lines that form in the skin due to decreased elasticity can make you look tired, stressed and older than your age. Who wants to look old and tired? I am sure you don’t…you want to look as young and outgoing as you feel. With a new non-invasive prescription injection called Dysport®, Hoboken and Edgewater residents can look and feel younger by softening and erasing frown lines and wrinkles. Dr. T.G. Khan, director of Edgewater and Hoboken Cosmetic & Laser Centers, is a board certified physician with more than 12 years experience in cosmetic injections. Dr. T.G. Khan was one of the first physicians in the Edgewater and Hoboken area to offer Dysport, which was approved as a wrinkle treatment by the FDA in 2009. Like Botox Cosmetic, Dysport works on the muscles under the skin to smooth moderate to severe facial lines. In fact, Dysport is so similar to Botox Cosmetic that it’s sometimes referred to as a ‘Botox cousin.’ An injection of Dysport interrupts the signals between nerves and muscles, resulting in a reduction in the muscle contractions that cause frown lines. The forehead, eye area (aka “crow’s feet”), nose or “bunny” lines, and fine lines around the lips are given a smoother and more youthful appearance, while untreated areas of the face remain unaffected. In fact, certain areas of the face, such as the eyebrows, can appreciate a nice lift and make your eyes bigger and brighter. How is Dysport different from BOTOX? Is it better? How does Dysport differ from Botox? Both treatments are made from botulinum toxin Type A, but clinical research has found that the formula used for Dysport takes affect more rapidly, within one to two days compared to two to five days for Botox. In some cases, a change of appearance can be seen within 24 hours after a Dysport injection. For a man or woman who wants a quick improvement in appearance for an upcoming event, the faster action of Dysport makes it a more attractive option. Additionally, some client’s have responded that overall, Dysport provides a more natural, relaxed look. The reduction in lines and wrinkles is temporary with both Botox and Dysport, and on average they both last for approximately 3 to 4 months. However, recent studies have demonstrated semi-permanent effects with repeated injections of both Dysport and Botox. Most people who are happy with the results of an initial Dysport treatment decide to repeat the treatment on a regular basis. Regular Dysport injections can bring not only an improvement in appearance but also an increase in self esteem and self worth. After a Dysport treatment, people will comment on how rested and refreshed you look without realizing that you’ve had a cosmetic procedure. You will look better, but they won’t know why. Why should I get a Dysport Treatment from Dr. Khan? 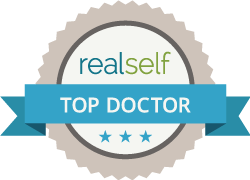 When deciding whether to use Dysport or Botox, Hoboken and Edgewater women and men can seek the advice of Dr. T.G. Khan, the Medical Director and Chief Injection and Laser Specialist at the centers. Collectively, Dr. T.G. Khan has over 10 years of experience injecting Botox and Dysport, and wrinkle filler injections, such as Restylane, Juvederm, Radiesse, and Restylane Lyft (formally Perlane). He offers you the most cutting edge injection techniques and aesthetic lasers available on the market today. Schedule a consultation with Dr. T.G. Khan by calling Edgewater and Hoboken Cosmetic & Laser Centers today at 201.313.8899. Whichever option you choose, you’ll get the best treatment possible and the finest care the area has to offer with the delicate hands and vast experience of Dr. T.G. Khan.